Created to prove that pigs really can fly is this ceramic OINK Money Box, part of Salt&Pepper's DCOR collection. 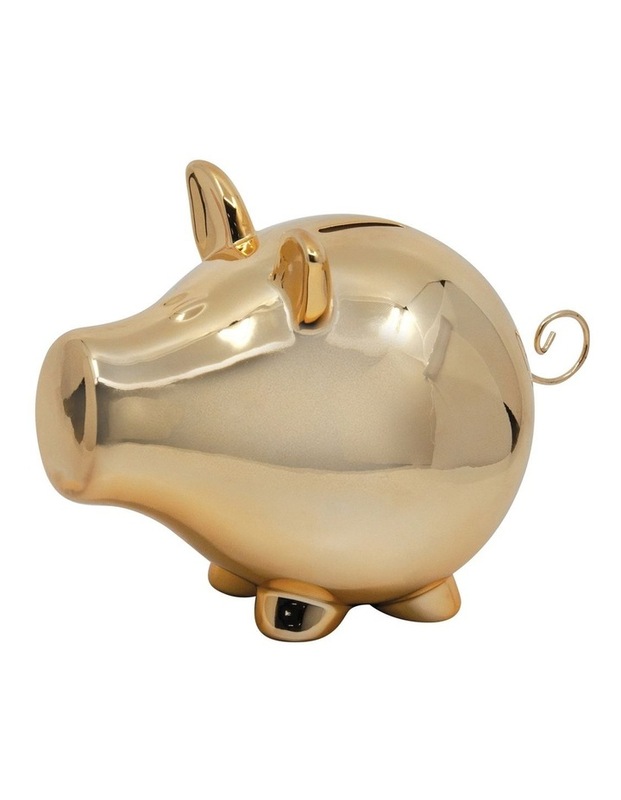 23cm in size, this money box featuring a beautiful gold finish is suitable for use with all currencies, which will delight both new and seasoned piggy bank collectors worldwide. It features a removable plug to access coins & notes with ease. Have some fun with your special savings and display this alongside other money boxes from our OINK collection for a quirky dcor arrangement. Comes beautifully gift-boxed for you or someone special. Salt&Pepper is Fashion For Your Home.